When you think of the world’s healthiest beverages, does green tea come to mind? Without a doubt, green tea is a signature beverage associated with healthy living, as it’s said to contain an abundance of antioxidants to protect cells and promote longevity. But is green tea really the health food it appears to be? As you know, I’m all about giving you the no-BS facts about health and nutrition. While it can be argued that green tea is healthy because it contains antioxidants, or that it’s a good drink to consume when eating for energy, let’s find out if the green tea side effects make it worth including in your diet. 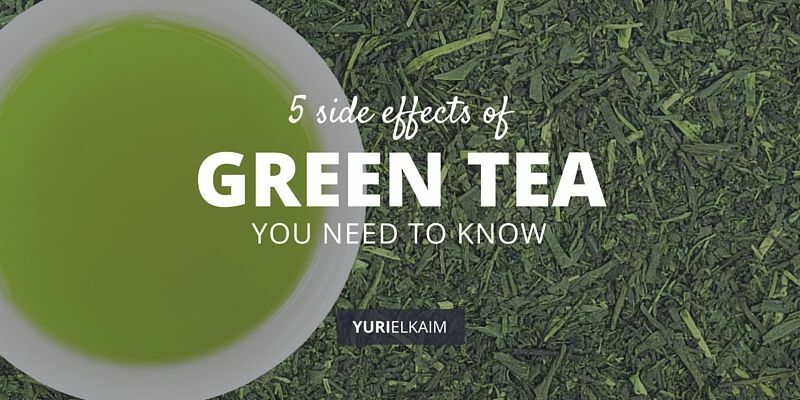 Here are five startling green tea side effects you need to know about, which will help you decide whether or not it’s truly an amazing health food. One of the main reasons green tea is considered a health food is because it contains antioxidants, such as flavonoids and catechins. Antioxidants are an important nutrient to health because they help protect the body against damage from the environmental toxins we’re exposed to on a regular basis. Green tea has gained most of its popularity for being rich in the antioxidant epigallocatechin gallate, or EGCG. However, the amount of EGCG in any given cup of green tea can vary – in most cases, it’s a very small amount – and it’s unlikely that one cup of green tea will provide you with a therapeutic dose of antioxidants. To receive a sufficient amount of EGCG, you’d have to drink several cups of green tea in one sitting. Now, if you love green tea for its taste, there’s not much harm in drinking one cup of green tea per day, as long as you’re not relying on it for the antioxidant benefits. But personally, I don’t recommend having more than one cup of green tea (if any at all) because it contains caffeine. Caffeine can have many negative side effects when ingested regularly, such as overstimulating the nervous system (1). In my opinion, the negative side effects of caffeine outweigh the potential antioxidant benefits a caffeinated beverage may contain. I offer a more in-depth explanation on how caffeine works in the body (and why it’s best to avoid) right here. If you’re looking to increase your antioxidant consumption, why not focus on antioxidant-rich foods instead, such as berries, leafy greens and other fruits and vegetables? 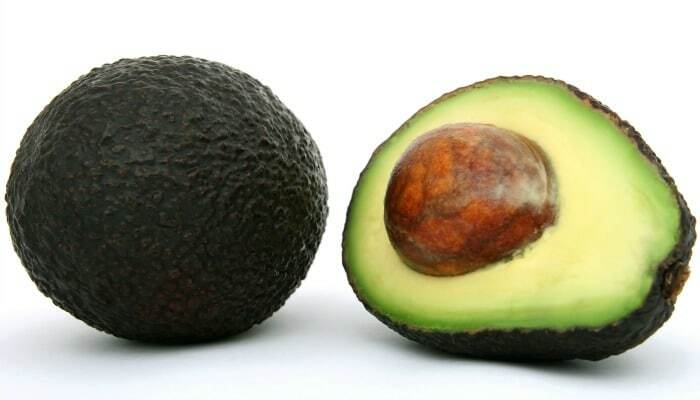 These foods don’t contain caffeine, contain several essential vitamins and minerals and will also contain more antioxidants than a cup or two of green tea. A popular and common nutrition myth is that green tea burns fat and increases metabolism. Unfortunately, there’s limited research available that proves drinking one or two cups of green tea each day can actually provide your body with major fat-burning benefits. I say this is a negative side effect of drinking green tea, because nutrition myths like this one give people a false impression that taking green tea extract, or drinking copious amounts of green tea, will burn fat. This is simply not true, as the real fat-burning foods are found in your diet – like lean protein and healthy fats (think avocado) – and they help promote blood sugar balance. Also, green tea is added to many fat-promoting foods such as ice cream, candy and chocolate. Since green tea is thought to be a health food, an unhealthy food with a green tea flavor can automatically give the impression that the food is healthier (kind of like these “healthy” snacks). In reality, you’re unlikely receive any green tea benefits from a food laden with sugar or heavy dairy. There is no shortcut or magic food to burn fat. Instead of relying on green tea for fat-burning benefits, I recommend focusing on increasing the vegetables, healthy fats and lean protein in your diet – while minimizing gluten, sugar, dairy, and other inflammatory foods – to help balance blood sugar levels and allow your body to process nutrients more efficiently. The healthier your body is in general, the better your ability to burn fat will be. Caffeine is a highly addictive substance, whether it’s found in coffee or green tea. Consuming caffeine on a regular basis can create a dependency based on the temporary “energy boost” that caffeine appears to provide. Unfortunately, caffeine is not an ideal food to include in your diet when it comes to eating for energy. This is because caffeine provides a false sense of energy to the body by blocking adenosine receptors, which tell your body when you’re tired (2). Caffeine also causes rapid blood sugar fluctuations, which can leave you feeling more tired than before and exacerbate symptoms of fatigue. For many of us, that’s when we reach for yet another caffeinated beverage to get our energy levels back up. It’s never a good thing to be dependent on any substance to obtain energy. Since caffeine is addictive, habitual users can exhibit withdrawal symptoms, such as headaches, when trying to remove it from their diet (3). Caffeine is also a natural diuretic which makes it a dehydrating substance – another side effect of green tea. When it comes to eating for energy, caffeine is best replaced with non-caffeinated beverages such as herbal teas or plain old water. 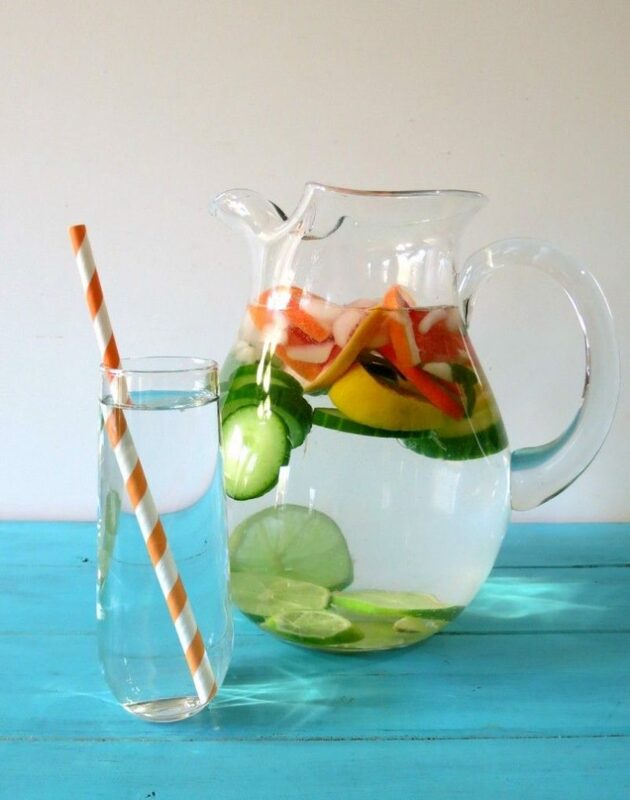 If you stay hydrated, you’re more likely to have higher energy levels that last throughout the entire day, without the need for caffeine (4). Aside from being dehydrating, the caffeine in green tea may prevent iron from being absorbed in the body when consumed with a meal (5). Iron is an essential mineral required by your body to transport oxygen between cells, which gives you energy. Iron also helps support a healthy immune system and fight against illness and disease (6). Drinking caffeine can accelerate the emptying of the stomach, which brings up another side effect of drinking green tea in those who have sensitive digestive systems or conditions such as IBS or IBD (7). Even if you don’t experience digestive distress, when your stomach is emptied quicker than usual, your body may not have a chance to properly digest and absorb the nutrients from the food you eat. If you experience anxiety or feel as though you’re under a moderate amount of stress, caffeinated green tea can heighten or increase the occurrence of anxiety symptoms. This could be because caffeine encourages stress hormones, such as cortisol, to be released (8). Stable blood sugar levels also play a role in anxiety. When blood sugar levels are continually fluctuating, anxiety, panic attacks, and irritability can result. Since caffeine has a negative impact on blood sugar levels, green tea isn’t the best beverage to consume if you’re under stress, despite the fact that it contains the amino acid l-theanine, which promotes a sense of calm. Furthermore, the caffeine in green tea can cause difficulty sleeping. A lack of sleep also promotes elevated stress hormones and irritability and anxiety. If you love your green tea, it’s not the end of the world if you’d like to enjoy one cup in the morning. But if you do drink green tea, I recommend avoiding adding any processed sugar or dairy to your beverages. Both sugar and dairy are acidifying foods that act as anti-nutrients. This is because they require our body’s stores of alkalizing vitamins and minerals to be metabolized, which definitely doesn’t allow green tea to contribute to our health when added. Green tea is not the ideal drink to consume to receive a high amount of antioxidants in your diet, nor is it a miraculous fat-burning food or source of energy. The negative impact of the caffeine in green tea makes it better to either avoid or consume in very small amounts. I recommend getting your antioxidants and nutrients from fruits, vegetables, leafy greens, and nuts and seeds – think green smoothies. Herbal tea is another great alternative to green tea, which you can drink iced or cold. Since herbal tea contains no caffeine, it hydrates the body and has no negative impact on stress levels, energy or sleep. Herbal teas often contain unique and delicious herbs that promote a healthier body overall. 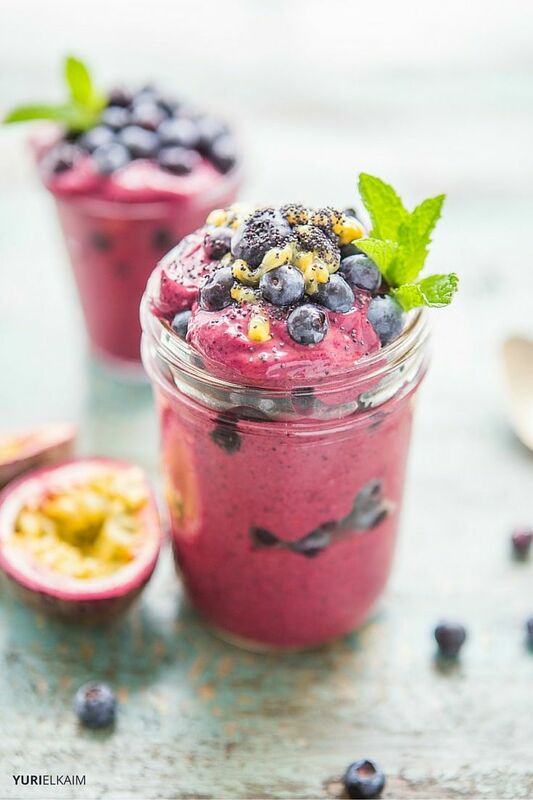 If you’re looking to improve your beverage game and are ready to make smoothies a regular part of your healthy diet, be sure to download my FREE 1-page Perfect Green Smoothie guide. Click the banner below for instant access and learn the perfect formula for making a delicious and healthy green smoothie.